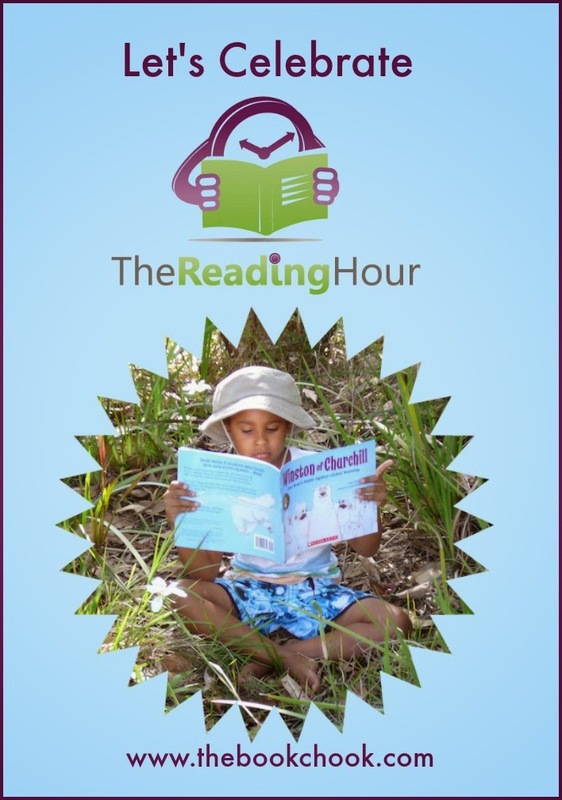 In Australia, The Reading Hour will officially be held on Tuesday 18 August 2015, between 6:00pm and 7:00pm. If that hour doesn’t suit your schedule of course, feel free to celebrate at a different time, or indeed: all day, every day! Last year, there were many great ideas to mark the occasion, such as literary high teas, special picnics, pyjama parties, and film screenings. Even small ideas can make a big difference - a reminder on a library notice board, class blog or school newsletter might reach hundreds of people. Here are some more ideas, both big and small, you could try to mark The Reading Hour this year. * Suggest to your kids/students that they begin a mini-bookclub. This can be as simple as each child bringing along a favourite book and telling about it. * Have kids and teachers take photographs of themselves reading between 6:00pm and 7:00pm on August 18 and post those pics on a class blog or school website. Challenge kids to include as many people or soft toys or pets as possible in their Reading Hour pics. * Ask students to design posters that show people all over the country being connected via reading at The Reading Hour. Use those posters to promote the event. * Invite a special guest to read to kids during The Reading Hour, then finish with a casual BBQ or Pizza Party. * Tie The Reading Hour in with your Children’s Book Week celebrations! It makes a great beginning to Book Week, even though it doesn’t start officially until August 22. Grab some ideas in Children’s Book Week Activities, 2015, Children’s Book Week Challenges for Kids 2015, Children’s Book Week 2015 - Ideas for Performance, Children’s Book Week - Ideas for Display, and Guest School Visits during Children’s Book Week. Do you celebrate reading in your home or school? Why not do something special this year to promote this great initiative!